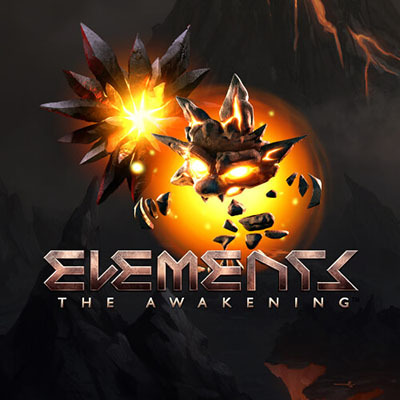 Elements: The Awakening is a 5 reel, 20 fixed line slot by NetEnt featuring a gorgeous futuristic space theme. NetEnt is known for creating some of the most visually appealing games and Elements is a testament to that. NetEnt has also introduced a unique concept known as the Avalanche feature where symbols fall into place instead of spinning the reels. The game is based on the 4 elements; air, earth, fire and water. NetEnt develops their games with realistic graphics that make gameplay enjoyable and as interesting as possible. Their management systems allow players to review and rate key performance data while also viewing other graphical reports which help improve playing skills. Allthe software they use has been developed in-house. Their casino software module is used by severalonline gaming operators. One reason it is preferred is because it is user-friendly, has innovative features, supports several languages, has great usability and meetsthe highest standards. NetEntsoftware is compatible with all kinds of devices and although some of its flash-compatible games are getting outdated, they are being redeveloped to HTML5 so as to be accessible on all devices. The game features a hauntingly beautiful soundtrack playing softly as you spin the reels. The aesthetic is mostly dark colours. The background has a rocky looking planet-scape, a glowing volcano and mountains in the distance. Game symbols are designed to look likespace-themed creatures and objects. Symbols are paired up as low value and high value,e.g.a low valueobjectblue orb of water is paired up witha blue water creature which is also the lowest value creature.Other symbols follow different colours and also represent different elements. Purple represents air, green stands for earth and golden yellow for fire. Wild symbol- The wild symbol in the game is a metallic box. It only appears on reels 2, 3, 4, and 5. It can replace any other symbols. Avalanche Meter- Whenever a win is formed, the symbols explode and vanish leaving room for new symbols to fill. When the new fall mode starts, the avalanche meter fills up by 1 colour according to the current element round. When you have gone through all 4 elements meaning the Avalanche Meter is now full, one of the 4 Free Fall modes is activated and a bonus game begins. Bonus game- There are 4 bonusgames each representing one of the elements;water, air, fireand earth. The bonus game you get to play depends on the element that activated the round. Each of them is as good as the other and offer 10 free spins and different wild bonuses. The aspect of symbols falling into place is unique and makes for afaster-paced game.The animations flow easily and pop up unexpectedly throughout the game capturing the player’s interest. The controls are unique, but easy to master.The game doesn’t have as many unique bonuses as most players would be used to, but the returns can be high in the bonus games. Give Elements a spin to enjoy the creative visuals.